UK: MPI Offshore has completed the installation of the offshore electrical substation at the 219MW Humber Gateway wind project. The contractor used its MPI Adventure jack-up vessel to install the two 450-tonne topside modules on the 570-tonne jacket foundation it had installed at an earlier date. The loading of the components was undertaken from multiple ports, and involved a number of subcontractors, such as drillers, grouters, scaffolders, welders and painters. 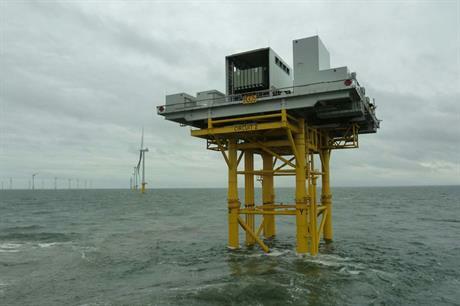 E.on is developing the Humber Gateway project eight kilometres off England's north east coast. In September it announced that a third of the 73 Vestas V112-3MW turbines had been installed at the site. It is due to come online in 2015.